Trish McEvoy is finally here! By Terry is back! 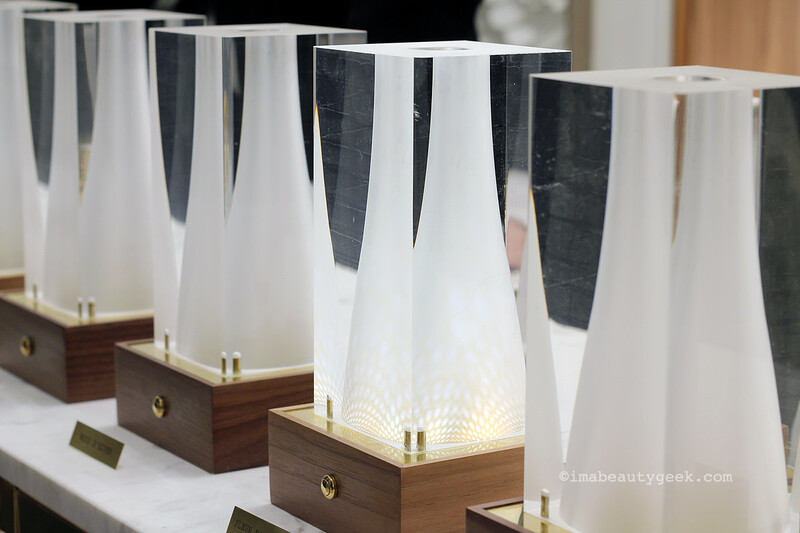 A high-tech Japanese brand makes its North American debut, and the fragrance counters... *swoon* Best part? RBC Rewards clients can automatically earn 2x the reward points while shopping in-store and redeem points for Saks Canada gift cards. 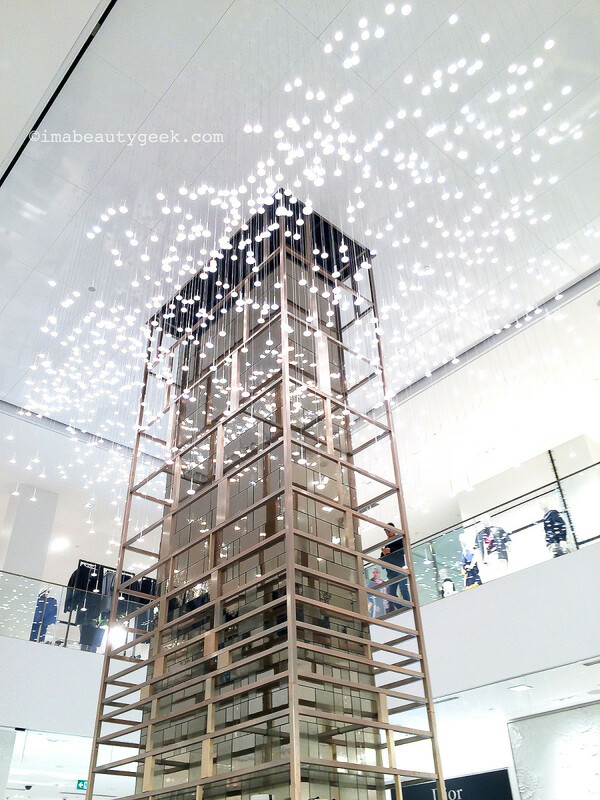 When you first arrive at Saks Eaton Centre, look up – look way up. Inspired by a fine mist of perfume, a chandelier installation glows brightly at first like a fresh shower of droplets, then softens and dims as though dissipating before it brightens anew. Magic! It&apos;s possible I stood admiring the effect longer than I should have, in the middle of an aisle full of eager Saks visitors. Thankfully, the floor design allows an easy flow of shoppers around the perimeter and through the centre area. 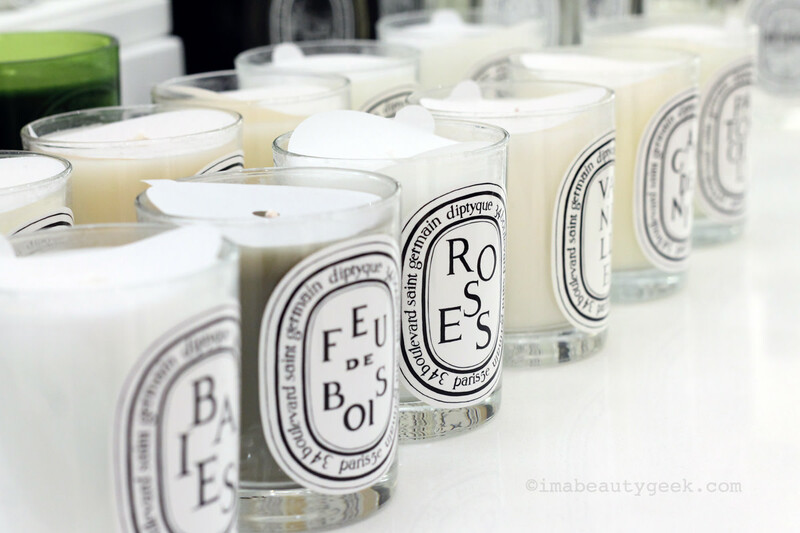 Diptyque fragrances at Saks Eaton Centre, Queen St. W. entrance. 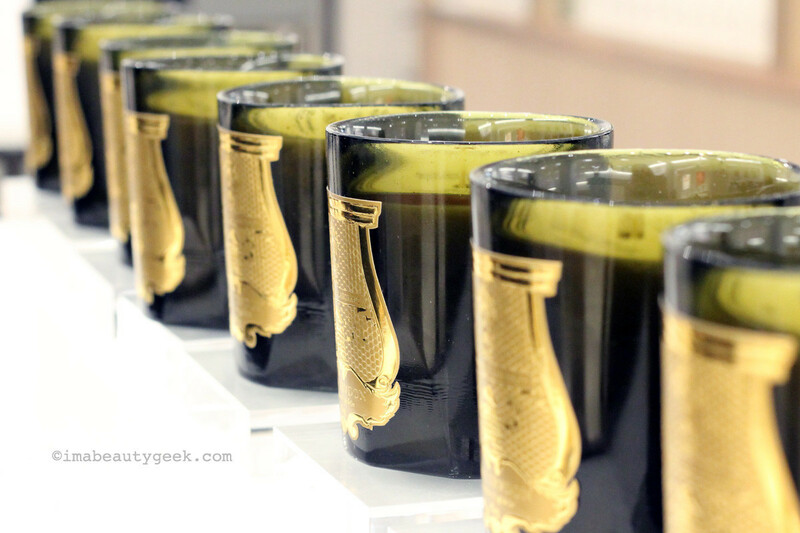 Diptyque candles await at Saks Fifth Avenue Queen St. W.
Heritage-rich Cire Trudon candles all in a patient row. Let it be known that Saks is an excellent place to send indulgent friends, family members, spouses etc. for candles to bestow as gifts. Handily situated next to Diptyque, you&apos;ll find Cire Trudon. One of the world&apos;s most prestigious candle makers, the company dates back to 17th-Century Paris when the Trudon family painstakingly produced white purified beeswax candles with cotton wicks that burned cleanly. Their clients included monarchy, wealthy families and the church. Today&apos;s Cire Trudon fragranced candles are housed in hand-blown glass jars, and burn without creating smoke or leaving wax residue on the sides of the glass. 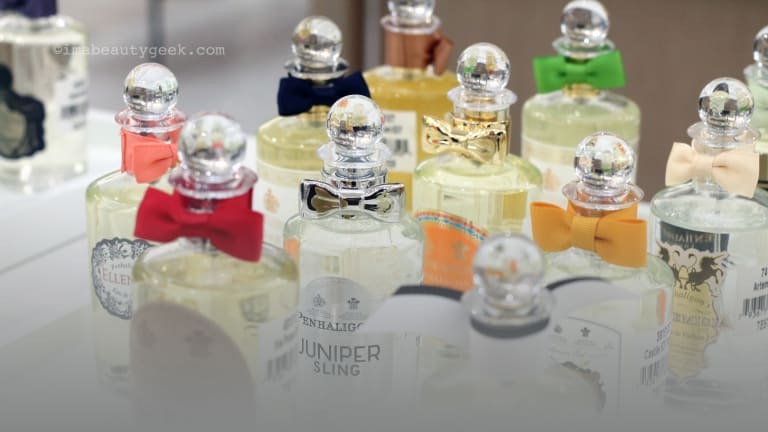 See that Penhaligon&apos;s Juniper Sling peeping out in the second row? I wear that. 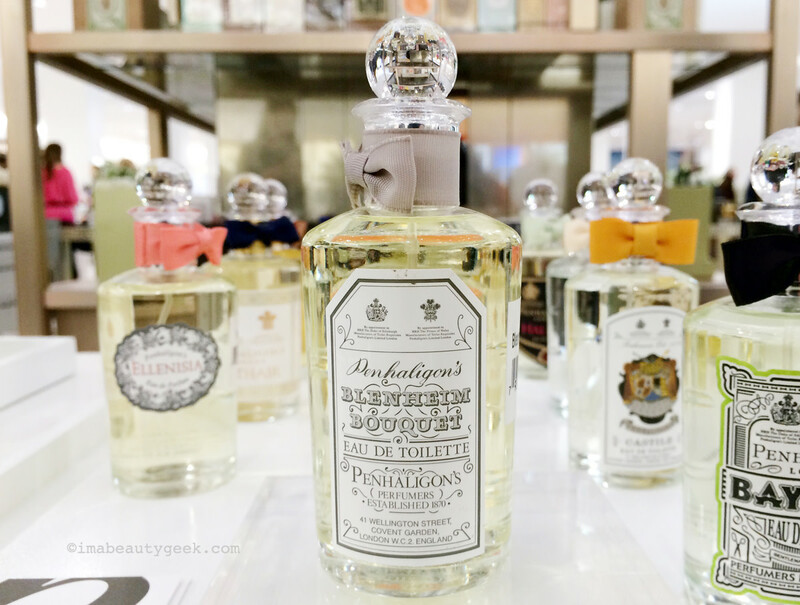 Just behind Cire Trudon at Saks Eaton Centre is the first official Penhaligon&apos;s counter in Canada. 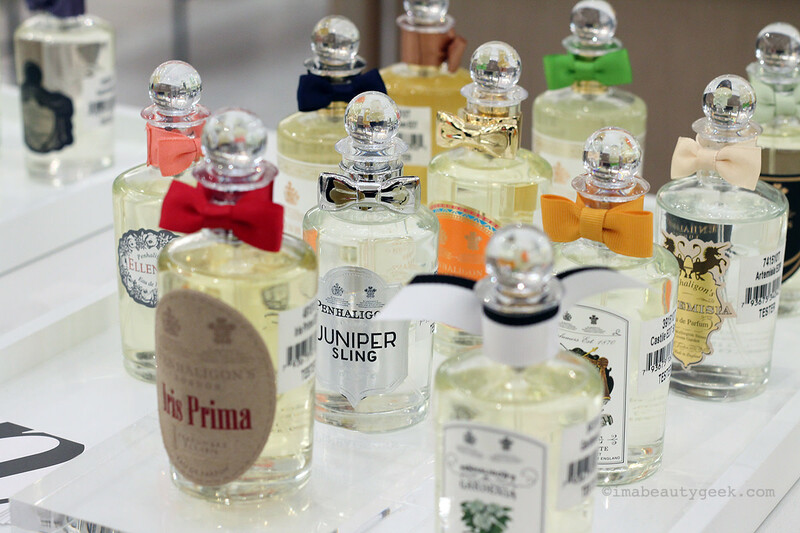 The London fragrance house began as a barbershop in the late 1860s. 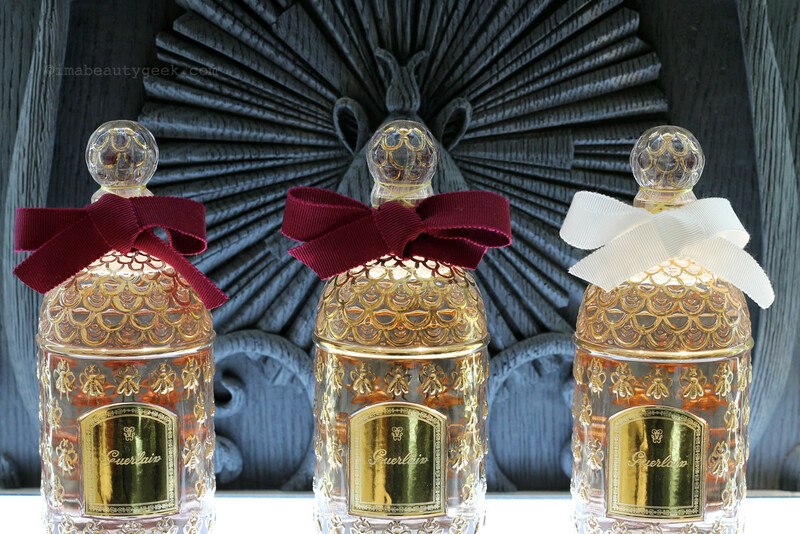 Founder William Henry Penhaligon, Queen Victoria&apos;s Court perfumer and barber, created his first perfume, Hammam Bouquet, in 1872 (it&apos;s still available for purchase). Maison Francis Kurkdjian at Saks Eaton Centre: A la Rose isn&apos;t what you&apos;d expect. 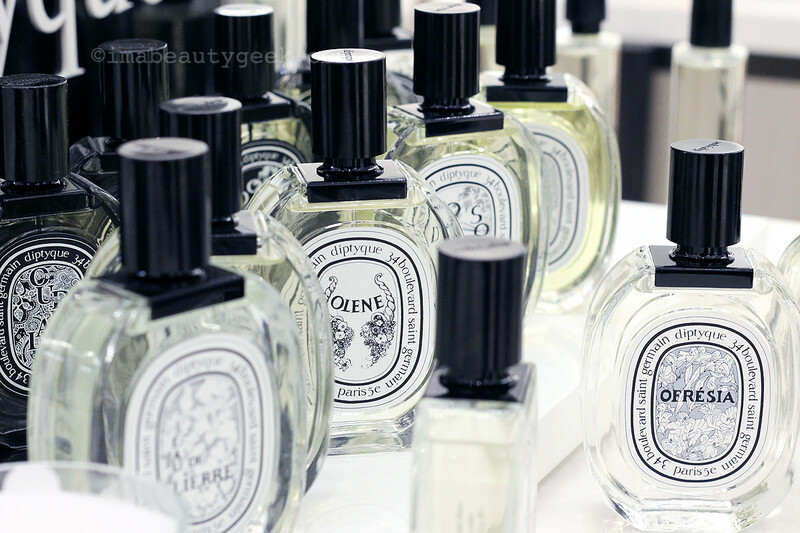 For someone who finds most perfumes challenging, I spent a lot of time at Saks Queen St. fragrance counters, swooning. In delight! 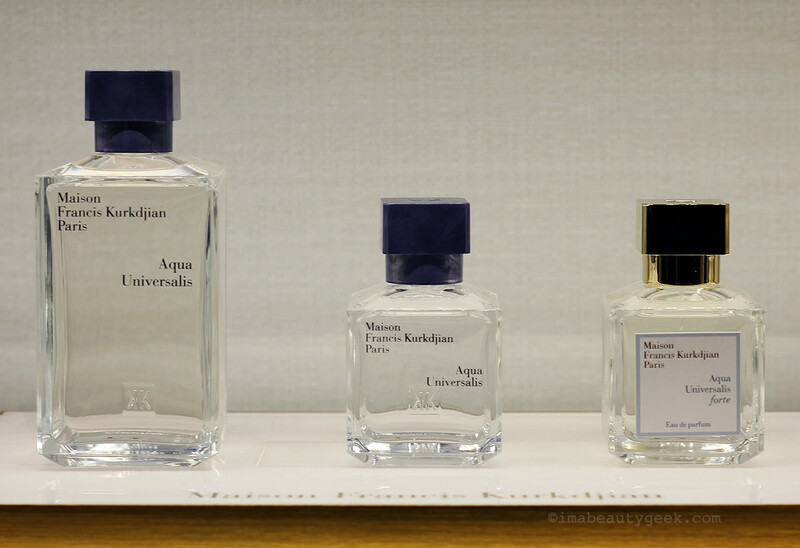 Maison Francis Kurkdjian Aqua Universalis: I think I need it. Now this, Aqua Universalis, is my kind of fragrance. I have a weakness for light, clean, citrussy scents; this is somehow the purest version of those. It smells like freedom in an endless clear blue sky. 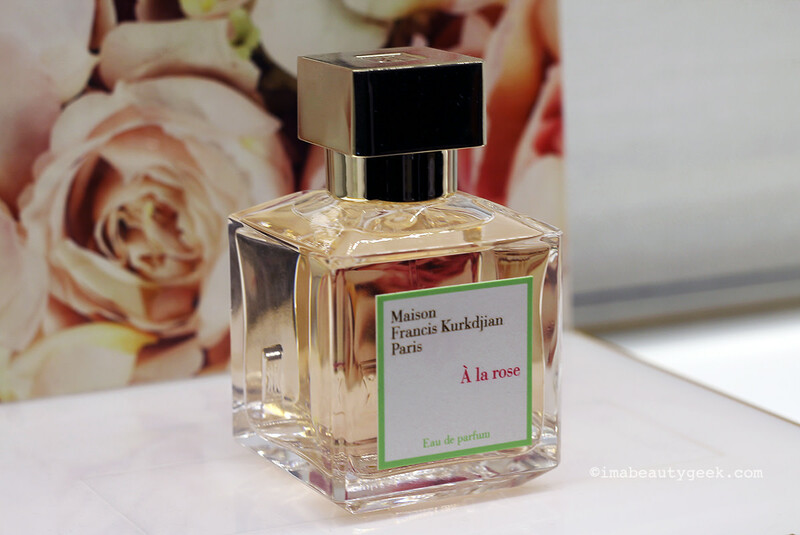 I meant to tell you a little about Francis Kurkdjian before I got into the scents, but I was so thrown off by A La Rose! Kurkdjian is the nose behind an amazing portfolio of fragrances that includes Jean Paul Gaultier Le Male (his first creation; he&apos;s done eight more Gaultier scents since then), Elizabeth Arden Green Tea, Lancôme Miracle Homme, Caudalie Zeste de Vigne, Burberry My Burberry (and Burberry Mr. Burberry), Carven Le Parfum (and L&apos;Eau de Toilette; he co-created Carven Pour Homme and Carven L&apos;Eau Intense), and Nina Ricci L&apos;Extase. See the full list of his scents for other houses here. 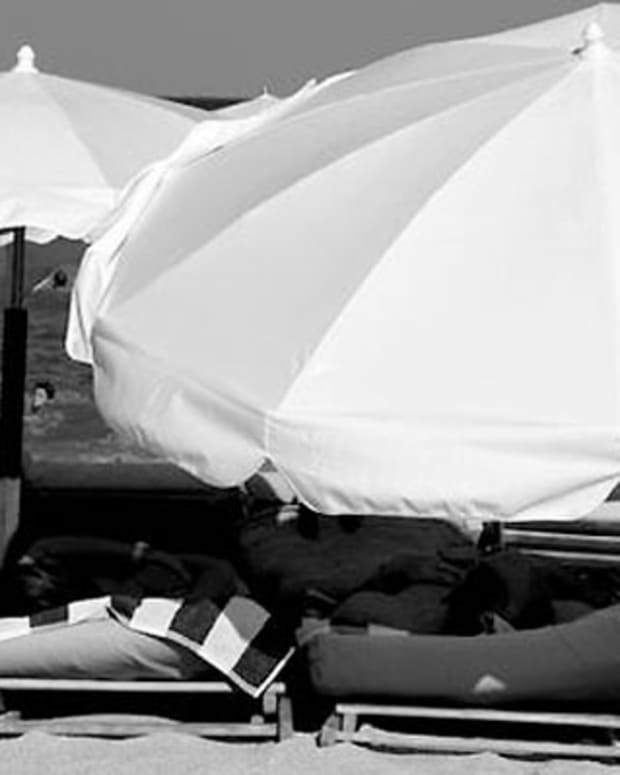 His own line, Maison Francis Kurkdjian Paris, is exclusive to Saks in Canada. Trish McEvoy is finally in Canada, exclusively at Saks. Although I&apos;m familiar with Trish McEvoy&apos;s name – she founded her company in 1975, wrote The Power of Makeup (2003), and is hugely successful in the US and the UK for her teaching approach to beauty – I don&apos;t know her line. But that&apos;s going to change now that Saks has brought the brand to Canada. 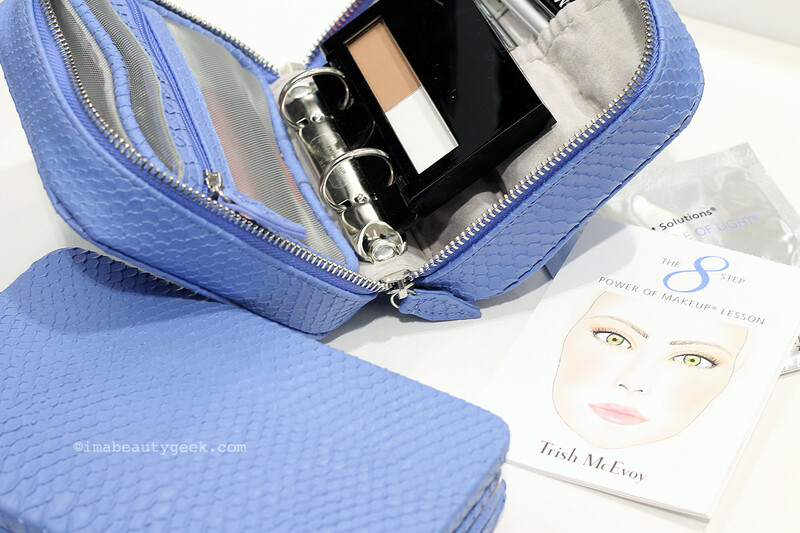 Trish McEvoy Makeup Planner and travel brush set for Spring 2014, available now at Saks Canada. First order of business: investigate McEvoy&apos;s clever and practical Makeup Planner system that consists of compact, customizable and re-fillable palettes that slip neatly into attractive binder-style zippered cases that keep everything organized and accessible. The set-up makes changing your look a snap, too – just swap your various palettes in and out as needed. If Trish McEvoy is new to you, have a look at this little video (above) on her eight-step makeup lesson. Oh happy day! By Terry is back in Canada, exclusively at Saks Fifth Avenue. Terry de Gunzburg was still the creative director at YSL when she founded her own line, By Terry, nearly 20 years ago. If you&apos;re not familiar with her name, know this: she invented the iconic YSL Touche Eclat, and, according to WWD, some know her as "the Steve Jobs of makeup." The gateway product for someone new to By Terry is her classic, perfectly rose-scented Baume de Rose; our Liza Herz calls it "the best light pink lip balm in the world." For years it&apos;s been the By Terry best-seller, and now comes in a variety of tempting tints. Also a top seller: the By Terry Terrybly lash-boosting "serum" mascara that loads eyelashes with intense glossy pigment as well as conditioning, growth-encouraging ingredients. Tammy Fender Holistic Skin Care at Saks in Canada – Julianne Moore is reportedly a fan of this line. Tammy Fender Holistic Skin Care, a luxury organic line by Palm-Beach-based holistic aesthetician Tammy Fender, has celebrity makeup-artist fans as well as A-lister devotees such as Gwyneth Paltrow. Of note are the Tammy Fender Neroli & Orange Antioxidant Creme, a collagen-stimulating concoction of lavender flowers, algae extract, carrot seed, neroli and sweet orange; and a super-rich Intensive Repair Balm in an Anti-Aging Travel Kit that insists on flirting with me. 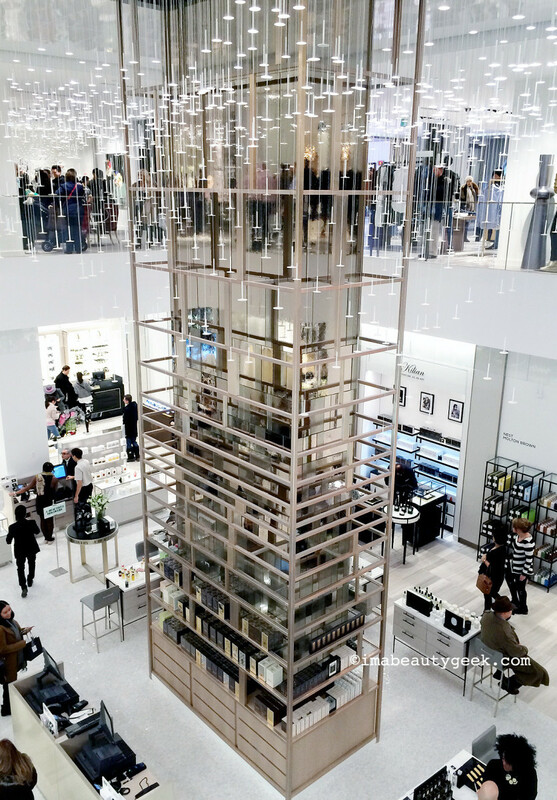 When I was at the Cosme Decorté counter looking into this new-to-North-America high-tech Japanese skincare brand (it&apos;s hugely successful in Japan), a young woman stopped in her tracks at the sight of the counter at Saks Queen St. "You have this here?? Decorté is in Canada now??" she near squealed in happy disbelief, almost jumping and clapping for joy. At the heart of the formulas is "onsen water," sourced from Japanese mineral hot springs. 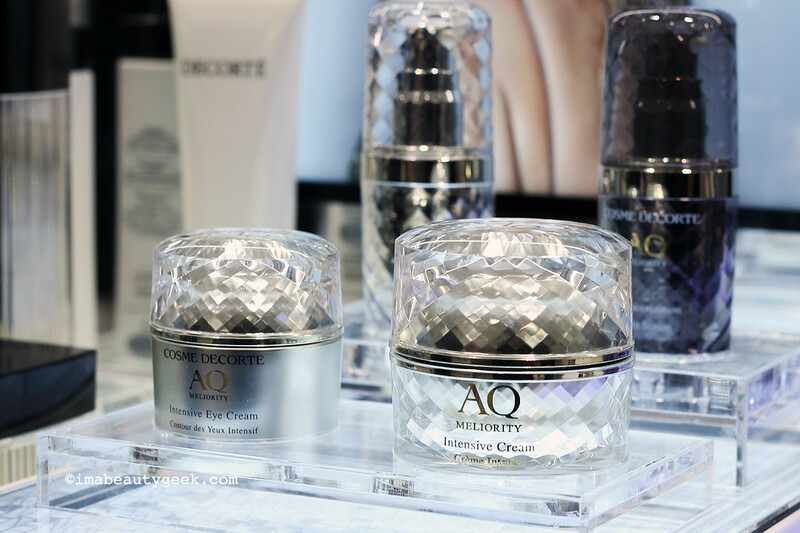 The AQ Meliority collection pictured above is designed for dry and mature skin. 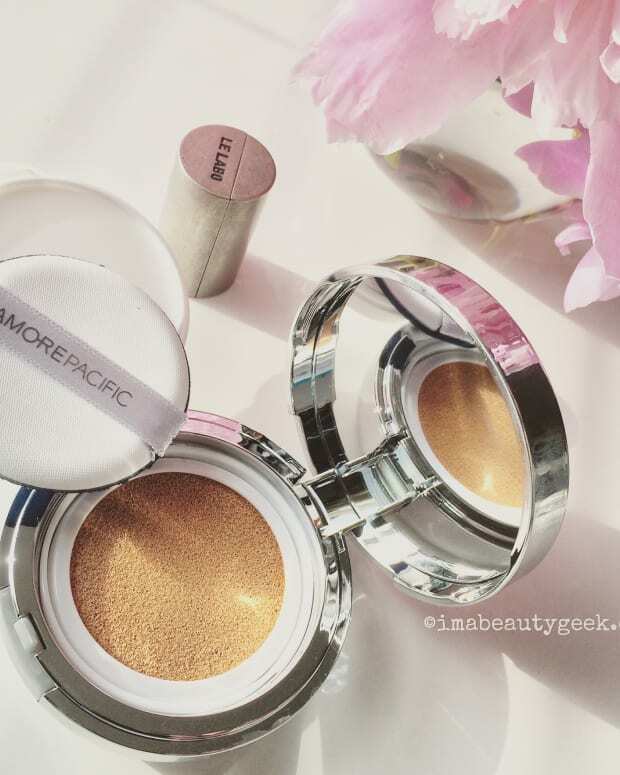 Formulated with two powerful peptides, botanical extracts and 30 more "active ingredients," the Intensive Cream boasts a price tag of nearly $1200 CAd. The Day and Night serums behind it are sold as a team, each designed to perform specific skincare functions depending on the time of day (the Day Serum keeps skin calm in the face of daily irritation; the Night Cream focuses on repair). The Decorté V-Fusion Line (it&apos;s on the left in the image, all out of focus) was developed for the North American market. It&apos;s all about hydration and includes an essence. I&apos;ve got some wee samples to try... I&apos;ll let you know how it goes! The legendary Sylvie Chantecaille at the opening of her new counter at Saks Eaton Centre. 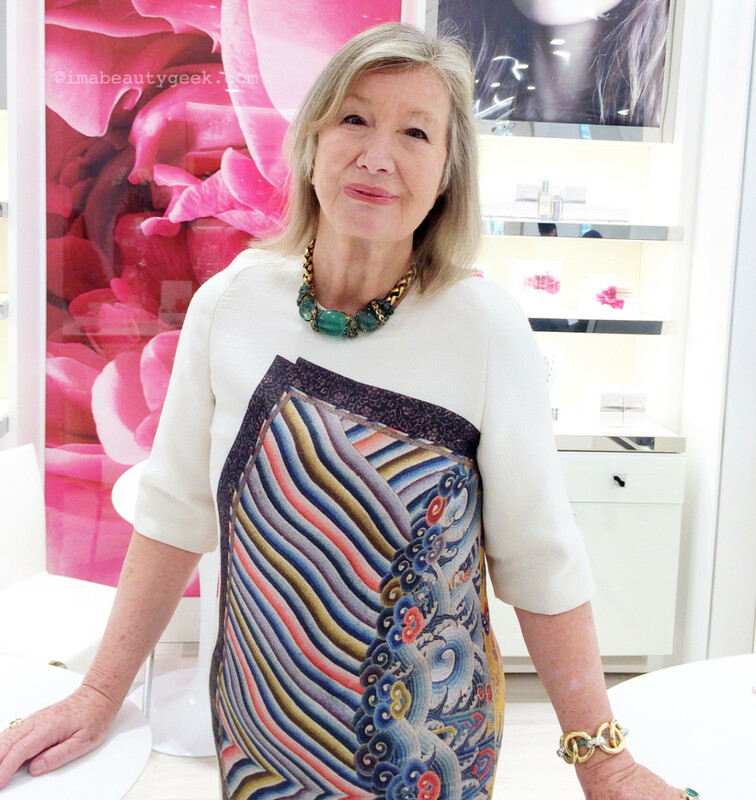 Lovely Sylvie Chantecaille, industry maverick and founder of Chantecaille, was greeting new customers at Saks Eaton Centre on opening day. She and I had a quick chat; you can read it here! 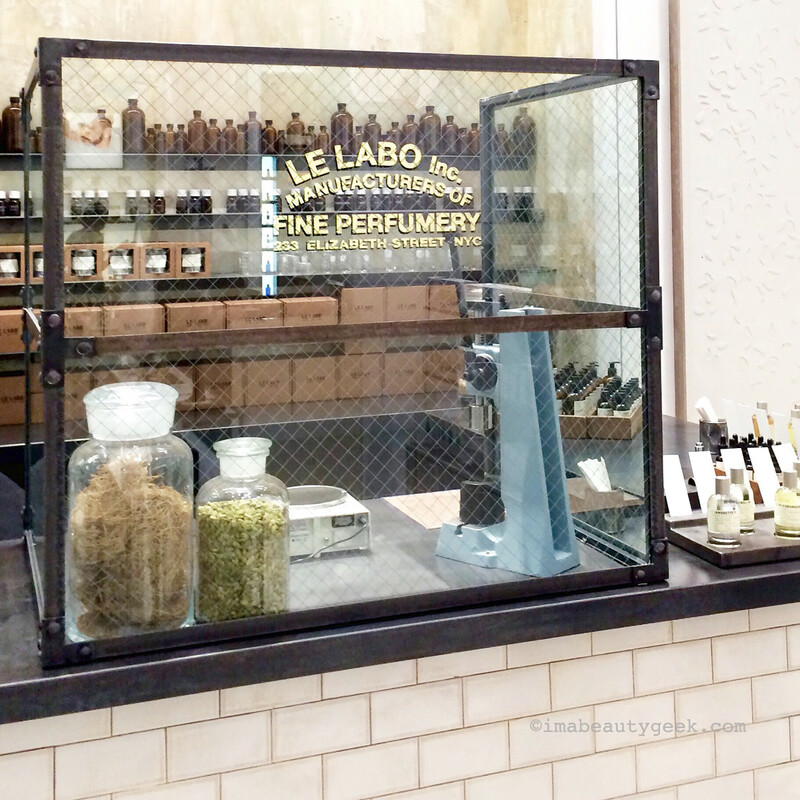 Le Labo at Saks Fifth Avenue on Queen St, Toronto. 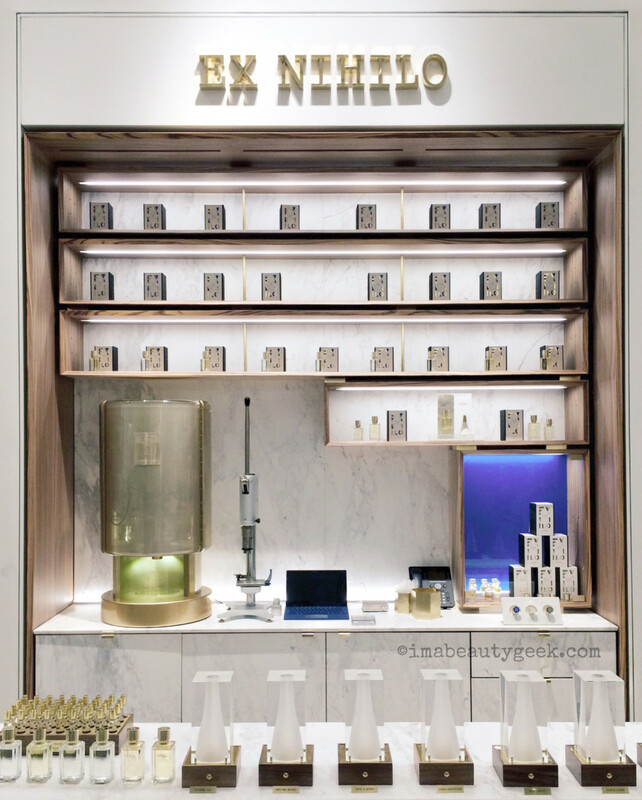 Thank you Saks for a downtown Toronto location at which to feed Le Labo addictions or satisfy first-timer curiosity. 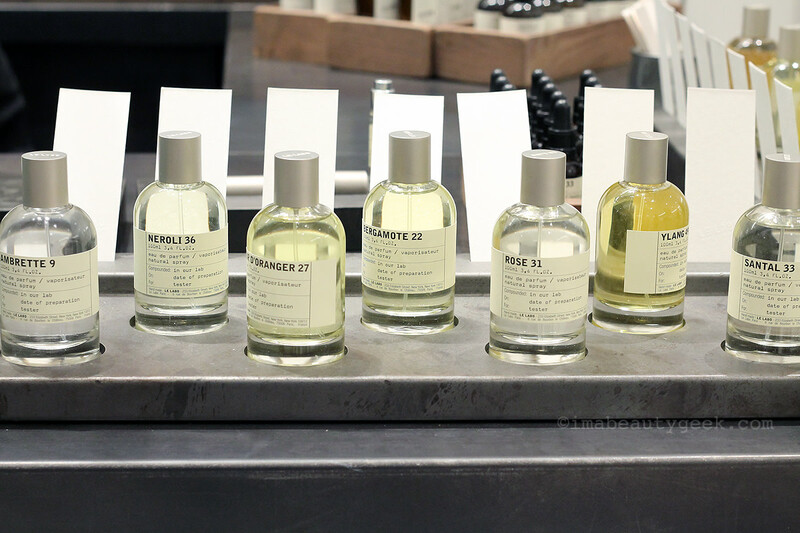 Indulging in Le Labo is a cool experience; you can watch as your fragrance is freshly blended and bottled right there at the counter. Le Labo Bergamote 22 is one of my favourite fragrances... and my bottle is completely empty. 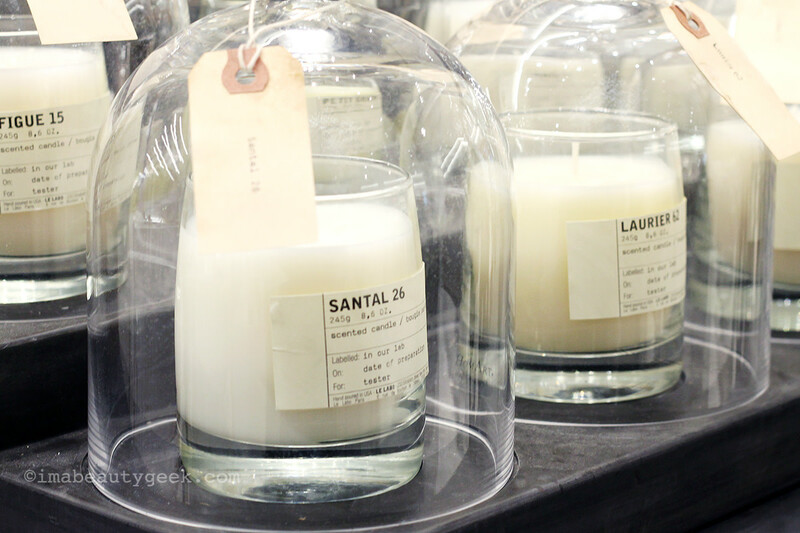 Le Labo candles – yes, more candles! Ex Nihilo is exclusive to Saks in Canada; this is the Eaton Centre location. Note the Osmologue on the left. I geeked out about Ex Nihilo&apos;s vases de senteurs, I don&apos;t mind telling you. You must experience them yourself. Just press that little button on the front of the base, lean in and inhale. The vase de senteur releases a delicate puff of fragrance mist that gives you a full sense of the scent – so much better than spraying perfume on a blotter, I think. In addition to Fleur Narcotique, I fell for Vetiver Moloko, an unexpectedly smooth vetiver-woody scent with cypress and milk at its heart, and an earthy base of vetiver, amyris and madagascar vanilla (*surprise-face* – I usually loathe vanilla, but this one in this juice doesn&apos;t set me off at all). I think I spent the most amount of my Saks Eaton Centre beauty-department tour time at the handsome Ex Nihilo counter. The luxury niche brand is only three years old, founded by three Parisians passionate about fragrance. (A diplomat&apos;s son, Olivier Royère lived in Montreal when he was a child, btw.) 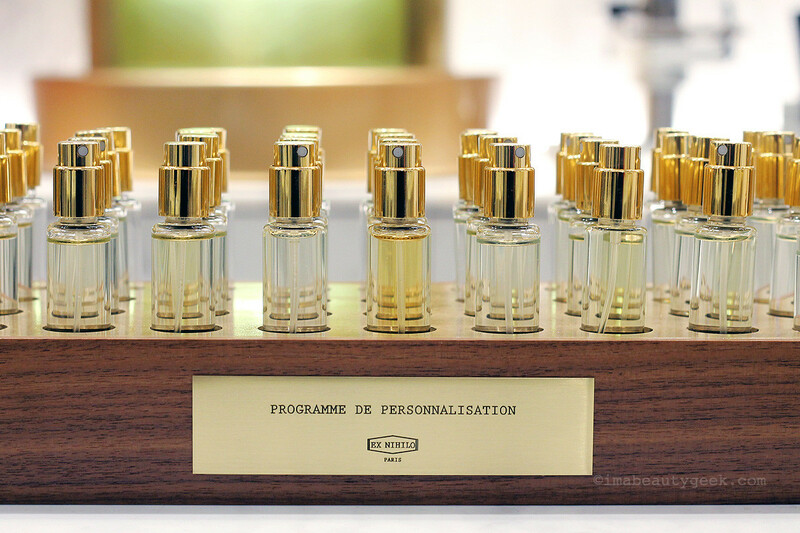 They worked closely with perfumers at Givaudan to develop their perfumes and to create a program that allows their clientele to customize their fragrances with the help of an Ex Nihilo expert. That&apos;s where the Osmologue (shown in the first Ex Nihilo image) comes in: it weighs fragrance raw materials and preserves their quality to ensure a precise outcome. 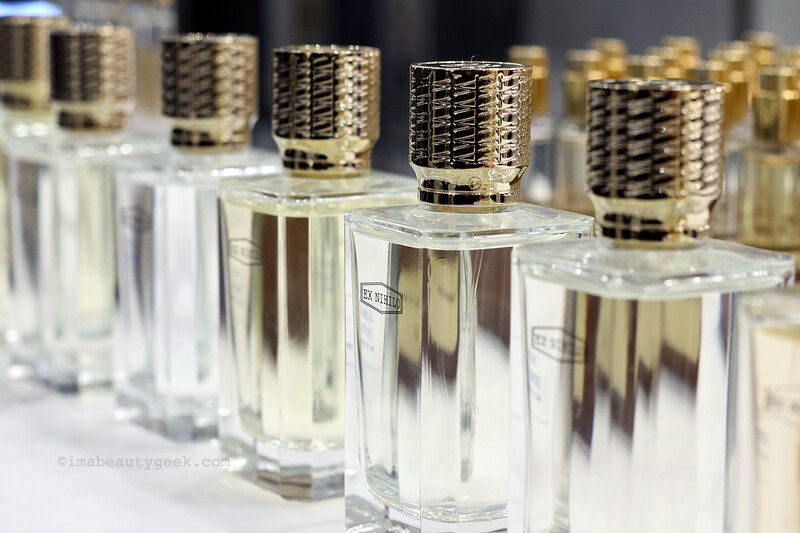 Ex Nihilo flacon caps options at Saks Eaton Centre: choose one for your custom Ex Nihilo scent. Once the composition of the juice is finalized, the custom Ex Nihilo fragrance is blended and bottled right in front of you; you choose one of three cap options (see above), and watch as the bottle is engraved. So fancy! Remember this if you&apos;re musing on gifts for a perfume-obsessed loved one. I can&apos;t believe how much of this post is about fragrance. I was going to focus on makeup! 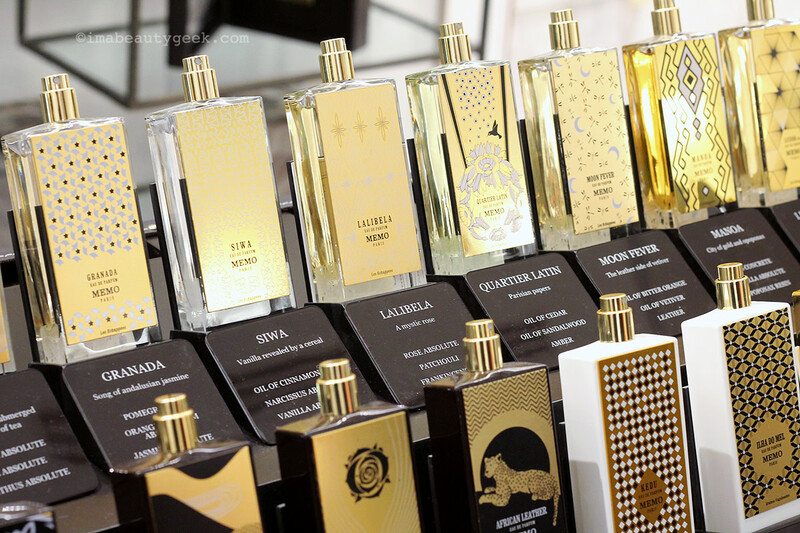 But the luxury fragrances at Saks Fifth Avenue are so different from the mainstream perfumes that surround us. You&apos;ll have to visit Saks at the Eaton Centre or at Sherway to smell for yourself what I mean. Aside from the several I&apos;ve shown you here, Saks also carries Tom Ford, La Prairie, Clé de Peau, Hermès, Laura Mercier and more. 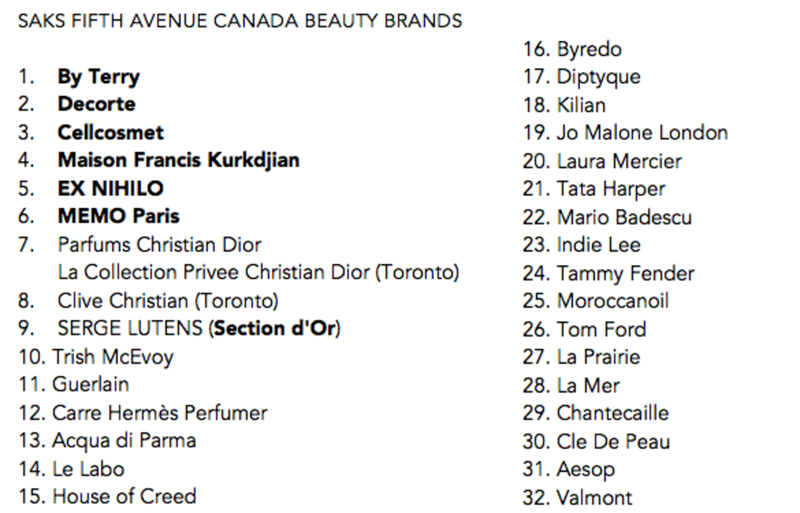 See the complete list below; bold-face type indicates a Saks Canada exclusive. 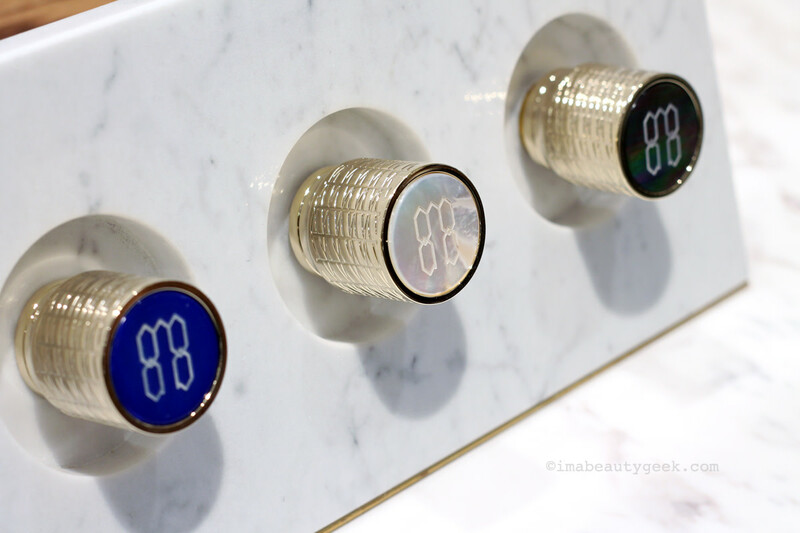 Guerlain at Saks Fifth Avenue Eaton Centre: the wall relief is beyond gorgeous – you have to go see! And yes, I&apos;m still seriously wondering why I&apos;m not (yet) and RBC Rewards member. As if the Saks Canada gift cards bonus offer and the 2x-the-points happiness that comes with shopping with all RBC Rewards credit cards in Canadian Saks locations isn&apos;t enough, I can put my RBC Rewards points toward my RBC Rewards credit card balance. Huh. Are you an RBC Rewards member? 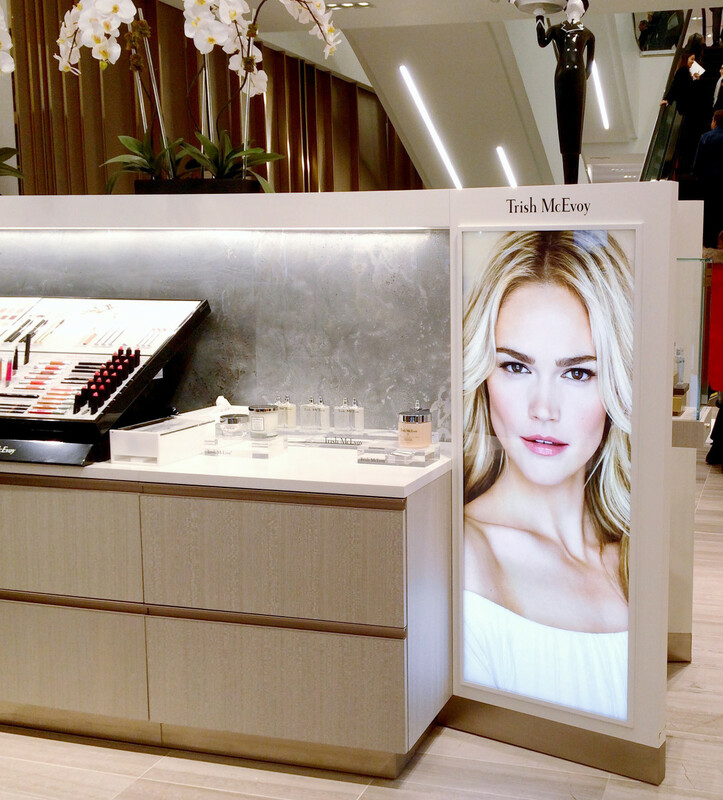 Have you had a chance to visit either Saks Fifth Avenue Eaton Centre or the just-opened Saks Fifth Avenue Sherway? What&apos;s calling to you?